Sounds simple, doesn’t it? Simple, and easy too. After all, the 5513 had one of the longest manufacturing runs of any Rolex ever produced. It was manufactured from 1962 until 1989. So the 5513 is not uncommon at all. And considering this models history the Rolex Submariner price is quite reasonable. 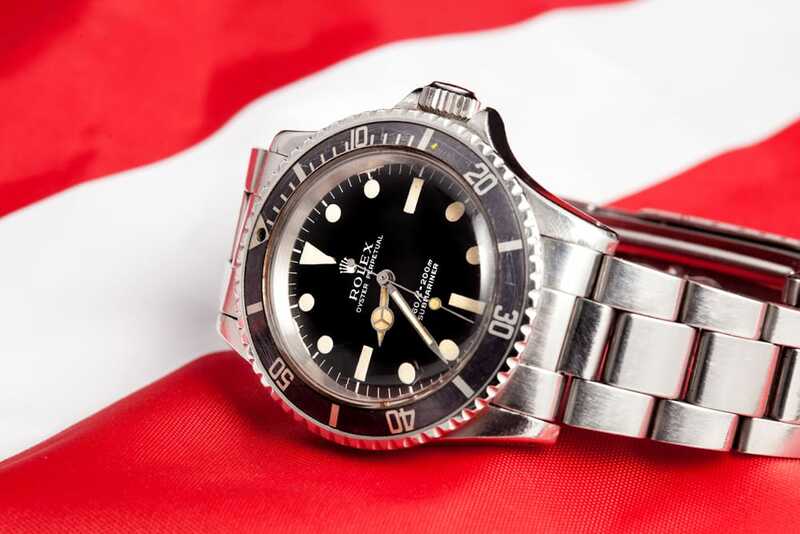 The Rolex Submariner ref 5513 is an all time classic watch. But you know there’s a catch, don’t you? After all, this is Rolex and Rolex has a habit of progressive baby steps in the evolution of its timepieces. And so it is with the 5513. But we need to offer a caveat first. There is so much to know about the variants within-a-reference 5513 that the information could fill a book. This article is not intended to be comprehensive. Rather, we want to give you a flavor for the variety available within the scope of the 5513, and therefore why it is so collectible. There are many variants of the 5513. In order to start your collection, you need to understand the range of what’s out there. Do you want a gloss gilt dial or a matte finish? Watch those serifs! Underline? There are two versions. Or maybe you’re looking for the elusive Explorer dial. But is there a Calibre 1520 or a 1530 beating underneath? And if you decided you want a matte dial, which had a longer production run than the earlier gilt version, you’re not done making decisions yet. Did you want meters first, or feet? What about acrylic vs. sapphire crystals? Pre-COMEX (a little-used term which defines a tight niche)? And then, I’m sure you’ve heard of maxi dials. The hour markers on those are large relative to the markers on other dials. But there were five distinct versions of the maxi. Or maybe the bracelet is driving your decision. Earlier versions featured the folded link, while later versions have solid links. But wait. A few 5513s were shipped with a genuine Rolex Tropic rubber strap. That’s different! 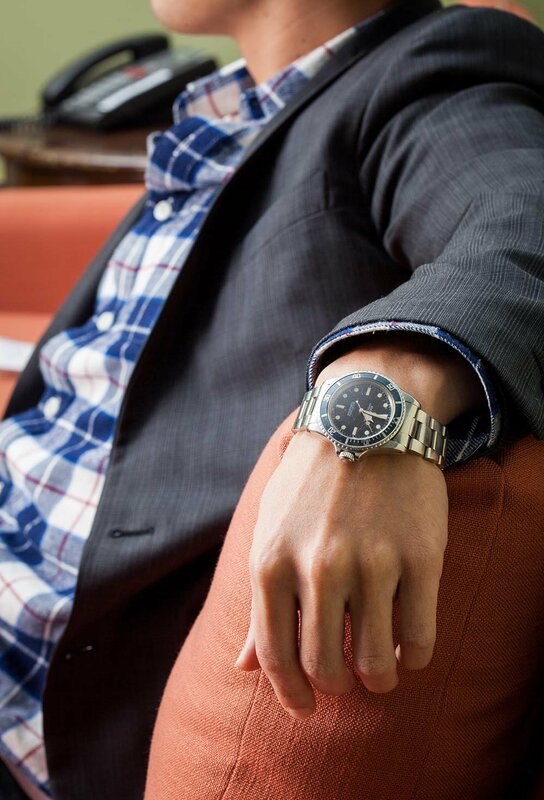 Rolex 5513 Stainless Steel with a gilt dial. OK. All of that information, decision-making overload had a purpose. To give you a feel for just how many variations of the 5513 there were during its 28-year run. But it’s not as though you can choose from all those options like a shopping list. If you did that randomly, and such a watch existed, it would surely be a frankenwatch. It would most certainly be worth less than the sum of its parts. So here’s a little more detail on what you need to know. Gilt, of course, means gold. These glossy dials with gilt printing were in production for only four years. Earlier versions sported radium lume vs. the later – and safer – Tritium markers. The so-called white Swiss dials – the word “SWISS” was printed with white ink at the base of the dial – were among the last of the radium dials. The underline on the gloss/gilt dial might be in one of two places: under the “Oyster Pereptual” text or under the “Submariner” text. The Explorer dial was used only briefly during the 1963-1964 timeframe. This one’s a looker though! 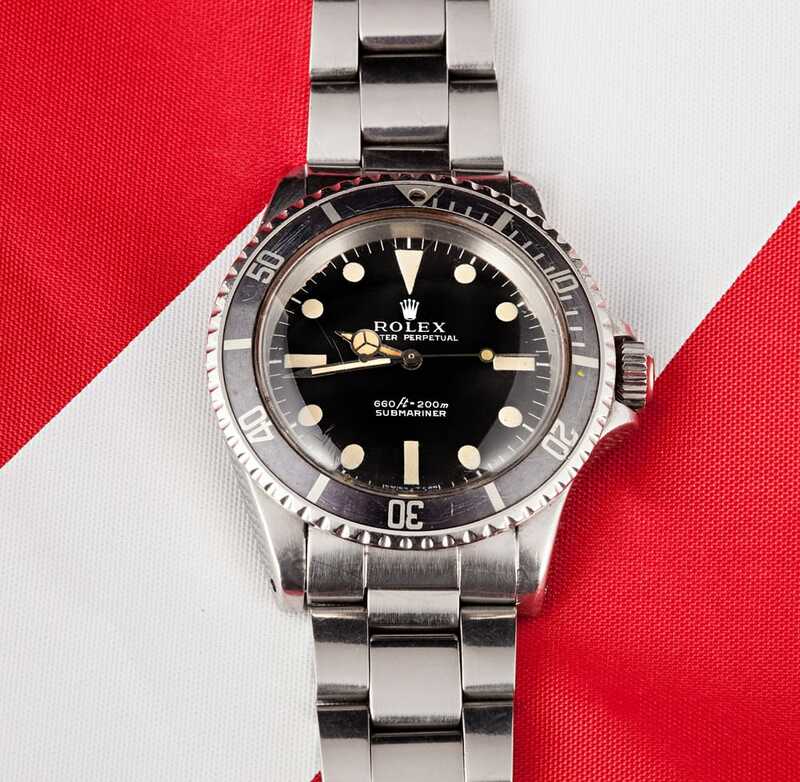 After four years of glossy gilt, the matte dial came along in 1966. Initial examples featured a listing of the meters depth rating first vs. feet first, which was introduced around 1969. The Explorer dial was used only briefly during the 1963-1964 timeframe. Domed plastic was routinely used up until 1981, when it was largely replaced by a flat sapphire crystal. There’s quite an overlap between acrylic and sapphire, however. 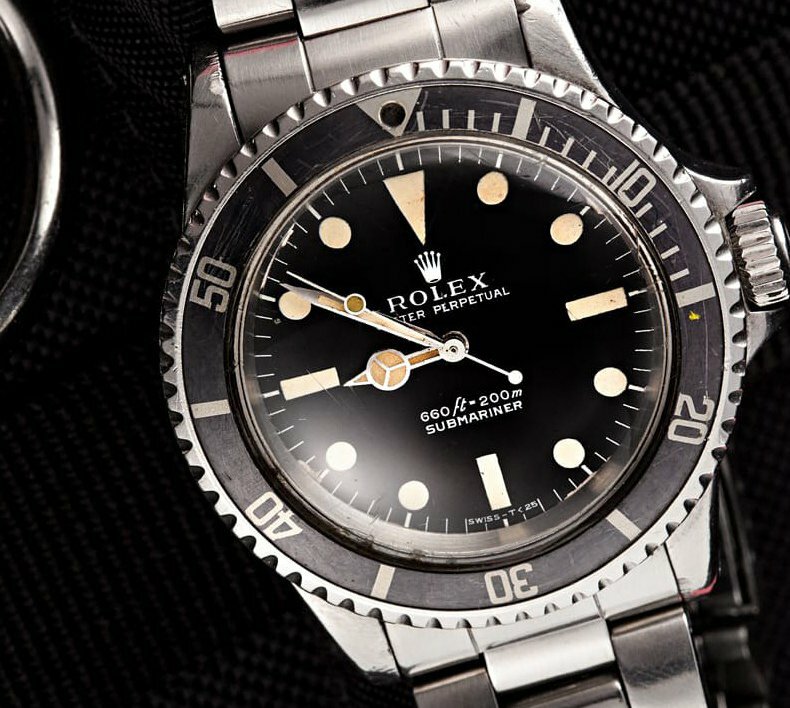 Rolex used up the remaining acrylic stock until 1987, or later. 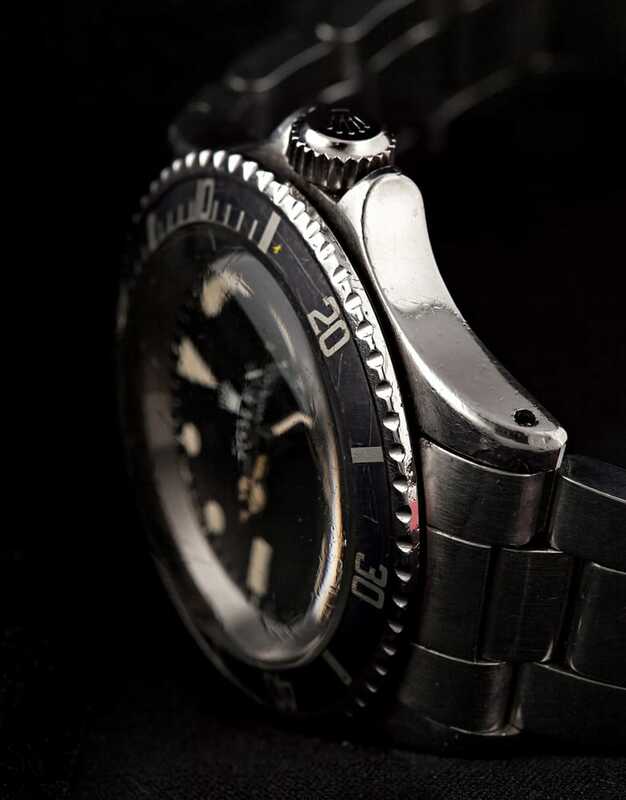 Side View Rolex Submariner 5513. Serif vs. non-serif refers, not to the word “ROLEX” on the dial, but to the words “OYSTER PERPETUAL” printed beneath. The serif dials debuted in late 1969 and continued until around 1974. And finally, the so-called maxi dials came on the scene in about 1977 and continued until roughly 1984, when new gloss dials with Tritium hour markers inside white gold surrounds replaced them. 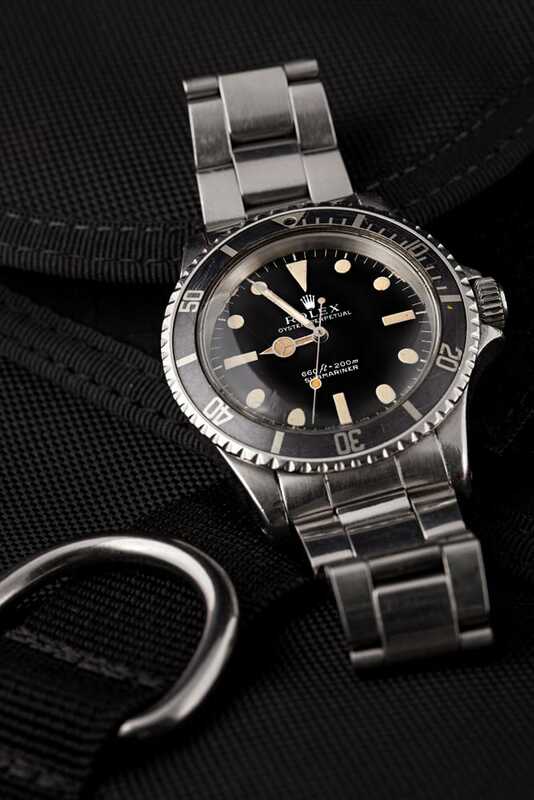 A Stainless Steel Submariner 5513 should be in every serious collector’s watch box. There were five versions of maxi dials. The first had a narrow base to the crown logo, and the depth rating printed above the word “SUBMARINER.” Future maxis all had “SUBMARINER” printed above the depth, and had dreadfully subtle differences in serif printing and other minute differences in the various characters, length of words, etc. As we noted above, this is not intended to be an exhaustive guide to identifying the various versions of the 5513. Rather, it illustrates the rich variety of unique features contained within the line and makes the 5513 so eminently collectible. Do your due diligence. Learn all you can about these various features. And above all, have some fun ferreting out a few watches and discussing their finer points with your local collecting crew.